travel | Life, She Wrote. Whilst away on my tropical getaway, I finally had the chance to do something I’ve embarrassingly enough, never done before…. I snorkelled! Yes, I can tell you now that it is entirely possible to live 24 years and not don the ol’ flippers and snorkel to investigate what lays beneath the oceans skin. I am the very proof. So upon visiting the picturesque Mystery Island last month, I decided to change that small life fact of mine. It may not be a huge leap and bound in the big scheme of things, but it was something I have always wanted to do given my intrigue with the ocean. And so it found a worthy home at #65 on the bucket list. Having never snorkelled before, and being mostly a nose-breather (it’s a thing, just ask any nurse), I must admit that I found it a little hard to do at first. Training your brain to suddenly only breathe through your mouth in an almost dire circumstance given that you are under the sea and water in your lungs is not exactly compatible with life; wasn’t exactly easy. I resembled something close to a struggling baby seahorse at first, trying to coordinate breathing and swimming simultaneously. Throw in a subtle wave or two to supersede the end of my snorkel, and you could have easily found enormous entertainment in my personal underwater wrangle. But for the sake of the rainbow fish, I persevered. Eventually I grew accustomed to having a little less air in my lungs, and slowed down my breathing enough to find a slow rhythm with my stride. I was able to navigate the oceans movement and anticipated the waves. I almost instinctively learnt how to blow any water that dared to enter my sacred breathing tube right back out into the air above. After an hour, I decided I was brave enough to attempt a dive under the surface. After two seconds of deciding this, I was convinced being brave was a death warrant. Cue struggling baby seahorse performance number two. How people did this so naturally was beyond me. It was like the moment the water travelled down the snorkel and touched my lips, my body spontaneously thought, ‘Oh sure, come on in!’. But for the sake of the blue starfish, I persevered. Spitting out the salty ocean water my body had executively decided to harbour, I tried again. This time concentrating on blowing the air in my lungs out slowly enough to combat the water. By day two of snorkelling, I had this manoeuvre down pat enough to venture through tunnels in the reef at Paradise Cove in Port Vila. This baby seahorse had found her wings… or scales? Either way, I had become a little less entertaining to the observers onshore. It was worth every moment of frantic underwater fear, and salty-ocean-water-swallowing just to swim with the multitudes of tiny fish who call these beautiful reefs home. From clown fish (totally found Nemo), to vibrant coloured starfish; giant sea slugs, to vicious eels; curious reef sharks, to bright coral – it was an experience I enjoyed whole-heartedly and plan to do a lot more of in the future. I’ll call it my warm up for scuba-diving – which also makes the list, and I just know that when I get to it I’m going to love it just as much, if not more! Oh, just as a side note for anyone else who, just like me, may have not yet snorkelled – here’s a prominent tip above all else… try only to smile internally at the beauty of it all. As it turns out, smiling externally breaks the seal of your snorkel mask causing a great deal of salt water to flood your eyeballs. And take it from me, it’s not a pleasant experience. 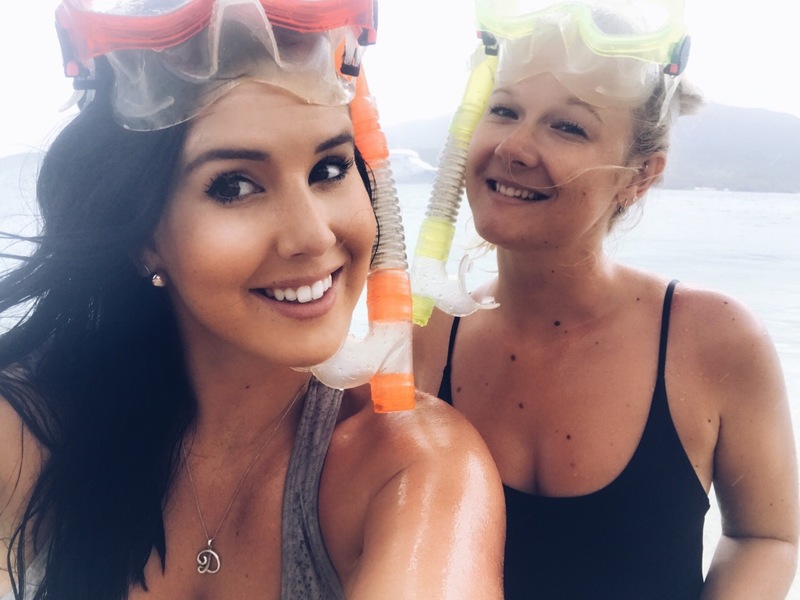 #65 – Go Snorkelling: Check! We arrived at the port of Brisbane right on time for our early check-in, and excitedly kissed our Mr.’s goodbye as we stared up the giant cruise liner titled Pacific Dawn. Celebrating 10 years of friendship, my best friend, J, and I couldn’t think of a better way to commemorate the occasion than to set sail upon the high seas on a Pacific Island Cruise! Additionally, this made the perfect excuse to tick #5 off of the Bucket List nice and early this year. Grabbing our luggage – which were impressively very compact and surprisingly not very heavy despite our indecision over what clothes to bring (if in doubt, bring it all, right? ), we stumbled into the line up outside the port’s centre doors. First in the queue, we made our way to the check-in desk quickly. Boarding was an easy process, and we found ourselves excitedly galavanting up the gangway in a little under an hours time. ‘Bon Voyage‘ they happily wished us as we stepped over the ship’s threshold and into the spacious liner’s atrium. We quickly found our room, and dumped the excess carry-on straight onto our beds, before making a beeline for the back of the cruise ship. One ‘Tropical Passion’ and ‘Martini’ later, we found ourselves completely at home on the decadent lounges overlooking the Port. I always seem to forget how easy it is to settle into holiday mode, and in that moment aboard the cruise liner… oh boy, was I on holidays. I couldn’t help but secretly burst with a unparalleled anticipation for what lay ahead. We spent 10 days sailing across the Pacific Ocean, visiting four islands and two countries in total. 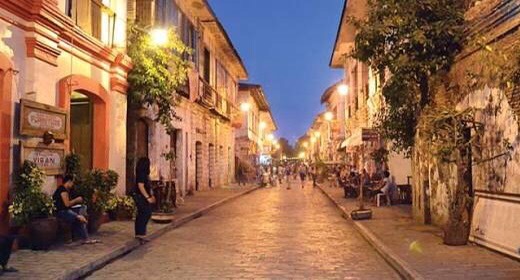 It seemed that each destination was even better than the one before, and we thoroughly enjoyed immersing ourselves in the cultures of each. 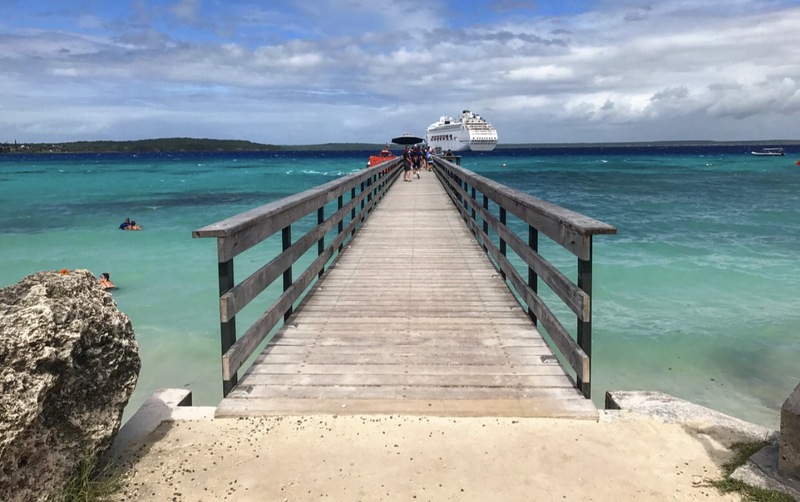 From traditional Noumea and scenic Lifou in New Calendonia, to the untouched Mystery Island and popular Port Vila in Vanuatu – we managed to fill two camera phones, one GoPro and one Canon DLSR worth of pictures between us both. We’ve come back at least three shades darker in skin colour thanks to the Pacific Ocean sunshine, and holding close to our hearts some very special memories. I could not have wished upon a better way to celebrate friendship than with this tropical adventure to some of the world’s most beautiful islands. You can count on the fact that this is only the very beginning of my tropical holiday obsession. You can check out the details and destinations out a little more in depth here at my Polarsteps profile (an absolute god-send when it comes to documenting any overseas holiday I promise you!). And with nothing else to say, Vanuatu and New Caledonia – you have been a dream! #5 – Travel somewhere new every year: 2017 – Check!